Emiris, I.Z, Tsigaridas, E.P, & Varvitsiotis, A. (2009). 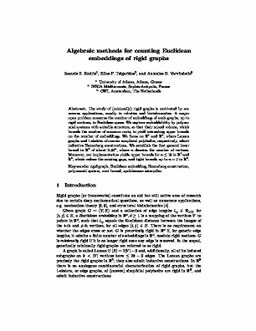 Algebraic Methods for Counting Euclidean Embeddings of Rigid Graphs . In E.R Gasner (Ed. ), Lecture notes in Computer Science. Springer.